WHAT?!?! I asked her if she would write it down to share with my husband because I know he would never use my name and patience in the same sentence. And well, honestly, I couldn’t really argue with that. I don’t excel at being patient on most days. Can anyone else relate? Many times waiting seems like wasted time, and that is something else I just can’t handle. But as I grow in Christ, He is showing me that I am not as uncomfortable with wasted time as I am with being out of control. If I am having to wait (being patient) then that means I am not in of control of the situation. And I find comfort in control. You see, I grow impatient when I feel out of control. And when I feel impatient because of my lack of control, then I show my lack of faith. Or look at it from a positive angle. 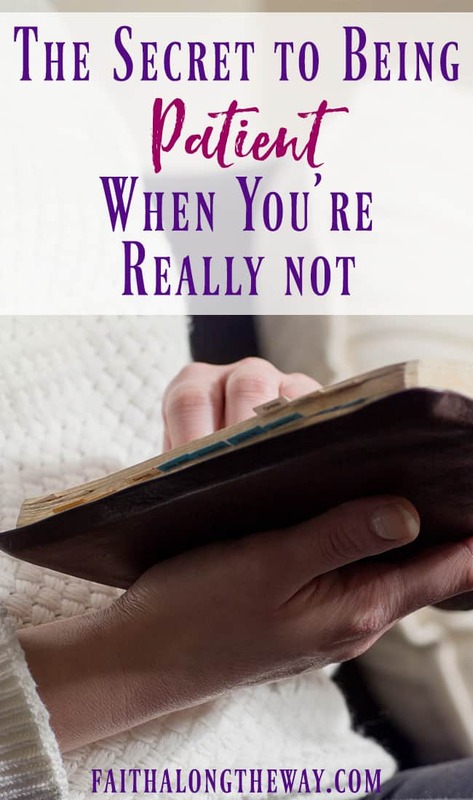 When we have true faith in God, that He is going to work out every and all situations, then we don’t have a problem relinquishing our control and waiting patiently on Him. Our need for control is in direct contrast to our patience and faith. We can have one or the other. So how do we learn to live out our patience and faith, and let go of our control? This is definitely easier said than done, and if you are like me, God has to send frequent reminders. I know what you are thinking. There are times when everything is out of your control. The kids are whiny and unmanageable. The washing machine is broke and so are you. Work emails are flooding in. Doctors are calling with bad news. I know it seems like everything is out of control but there is always something you can control. You can always control your thoughts and you can always control your prayers. Allow your prayers to reflect that as well. Make a point to pray for others. Look at difficult situations others are dealing with. Pray for them as you would hope someone would pray for you. Focus on the benefit of waiting. When you control your prayers and you direct your prayers personally, ask God to reveal the purpose in your waiting. Ask Him to strengthen your patience instead of removing the situation. Ask Him help you learn the lessons behind His design. Our God is an intentional god and nothing is happening without serving a purpose for Him. As much as I might hate to admit it, there can be a benefit to waiting. Remember the times when patience paid off. Oprah Winfrey made the gratitude journal famous, but journaling many different topics can prove beneficial. 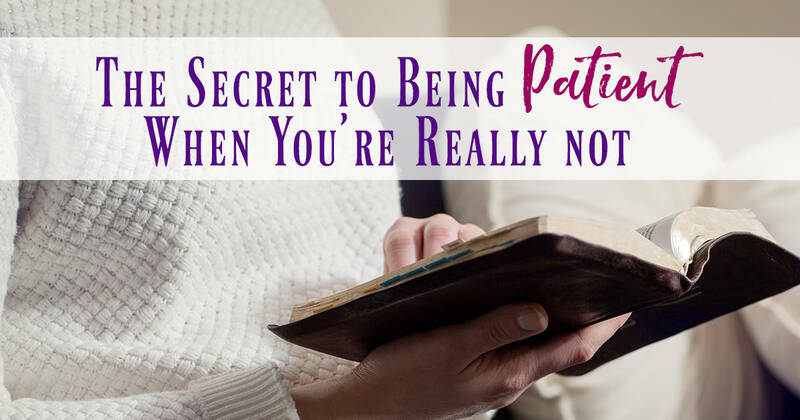 Have you ever thought about creating a list of times when patience paid off? 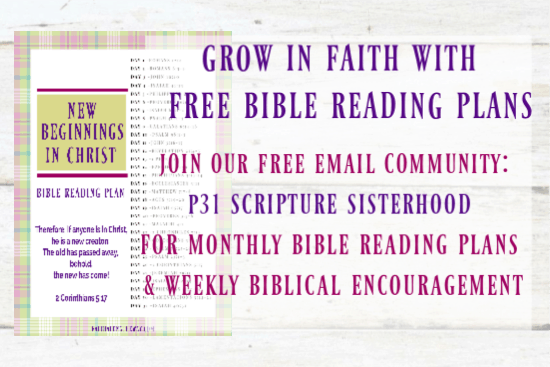 Reminding ourselves of moments when we were patient and God proved faithful can make being patient a lot easier. Did you have to wait patiently for a spouse? Did you have to wait patiently for a child? Did you have to wait patiently for a job? Did you have to wait patiently for healing? I bet there are countless moments in your life where you were required to wait. And I bet God proved trustworthy each time. Remember those moments. Allow them to build your faithfulness and remind you it’s okay to relinquish control. Allow those moments to fuel your patience. It’s not always easy to be patient, especially when it doesn’t come easy to you. But, even when we feel out of control, when we feel our faith slipping away and our patience going with it, there are things we can do. There is always something we can do. We can learn to intentionally live patiently, even when we’re not. Jessica is wife, mother, teacher and friend who loves to write, read, and drink coffee - but not necessarily in that order. She uses her love of reading and writing to fuel her blog everydayabiding.com and hopefully encourage other women along the way. Is God Still With Us in the Storms of Life?